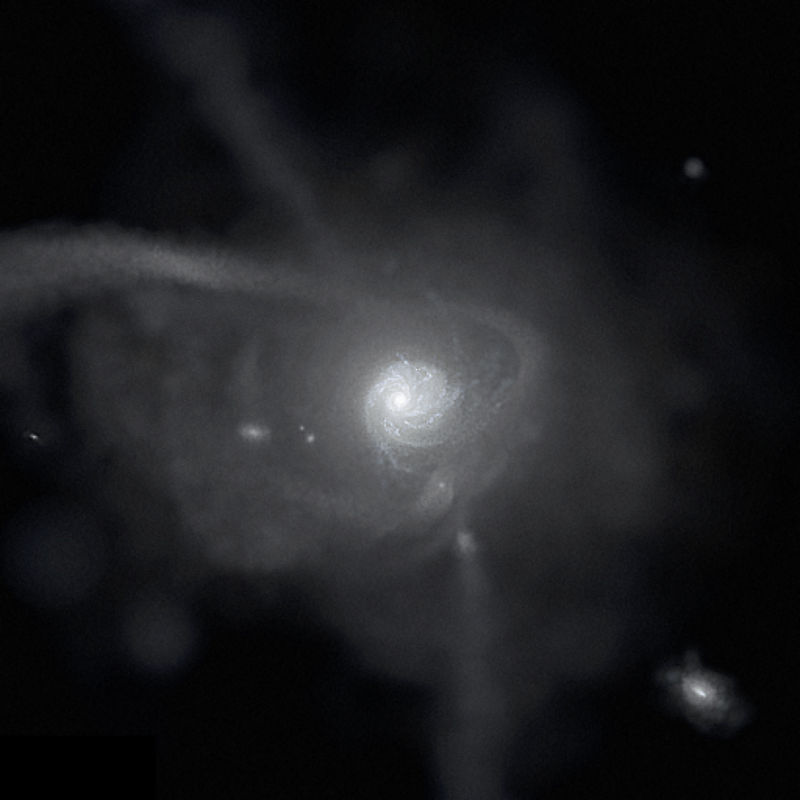 We model the formation of dark-matter + gaseous halos and the galaxies that form inside of them, including the physics of dark matter, gas dynamics, star formation, stellar evolution, and stellar feedback. We model the formation history of the Milky Way, Andromeda, and the Local Group across all of their components: dark matter halos, stellar and gaseous disks, giant molecular clouds, star clusters, stellar halos, and low-mass (dwarf) galaxies. We use stellar and gas dynamics to measure the spatial and velocity distribution, and test the particle nature, of dark matter around us.